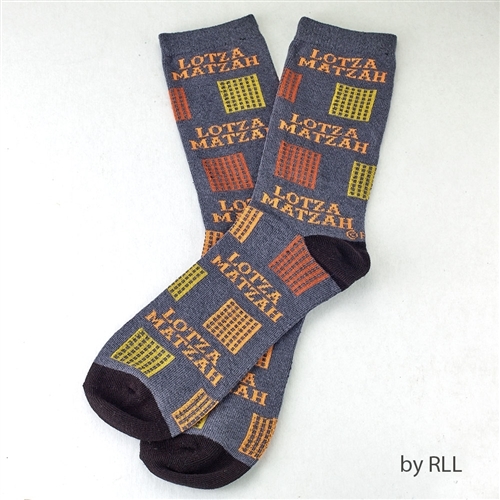 Lotza Matzah cruncy design socks for Passover. Crunchy matzah designs adorn these comfy soft socks for Passover. You'll be the hit of the seder! 58% cotton, 40% polyester,2% spandex. Adult sizes.